ubuntu: UBUNTU Canada Meets The First ONE SMALL TOWN Mayor. 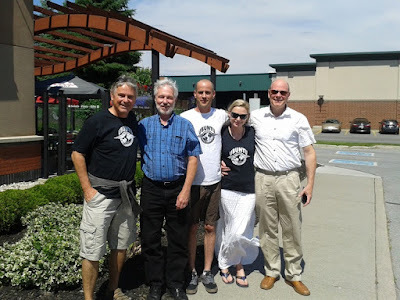 UBUNTU Canada Meets The First ONE SMALL TOWN Mayor. In the picture are: Michael Tellinger, Mayor Ron Higgins, David Craig, Emma-Jane Joyce, and Duncan Spence - UBUNTU Canada Coordinator.